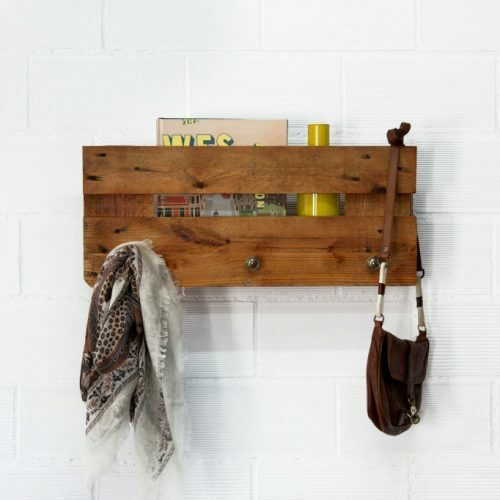 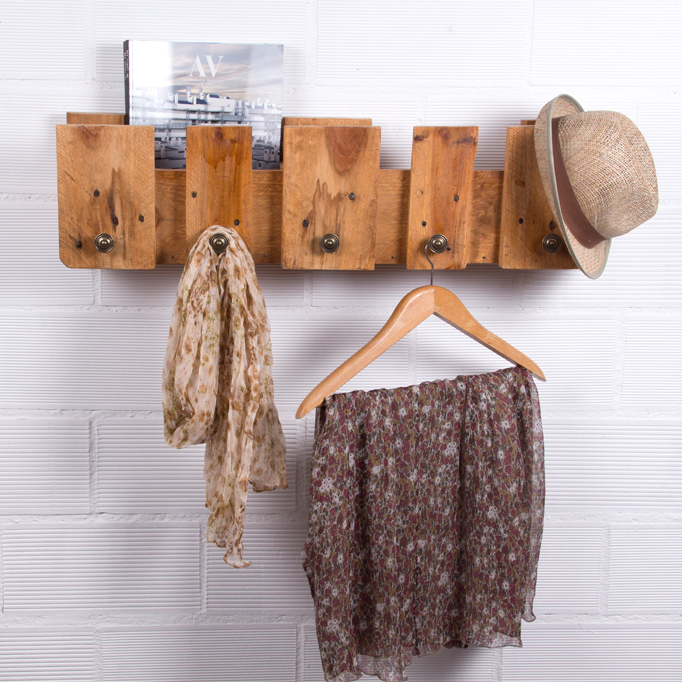 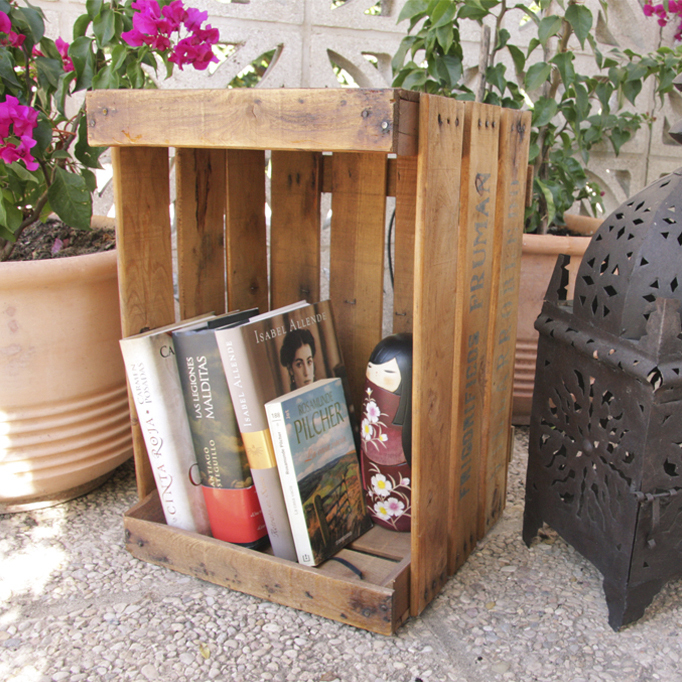 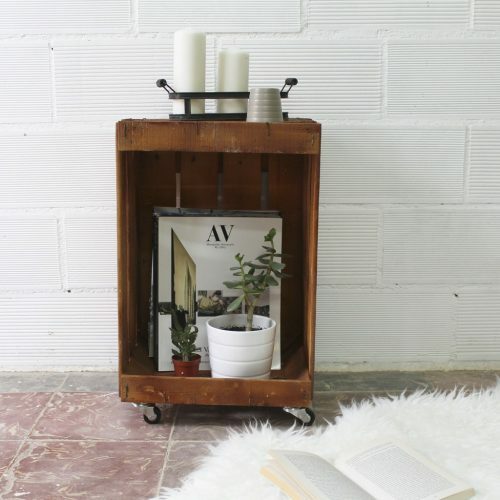 Magazine rack made of recycled fruit crates. 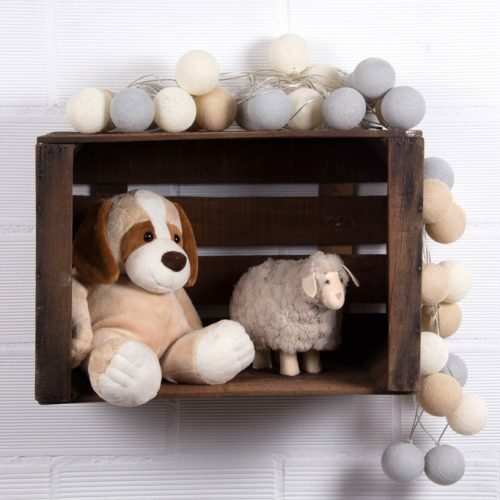 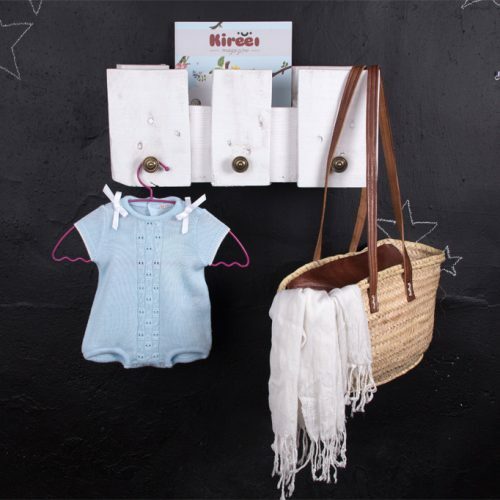 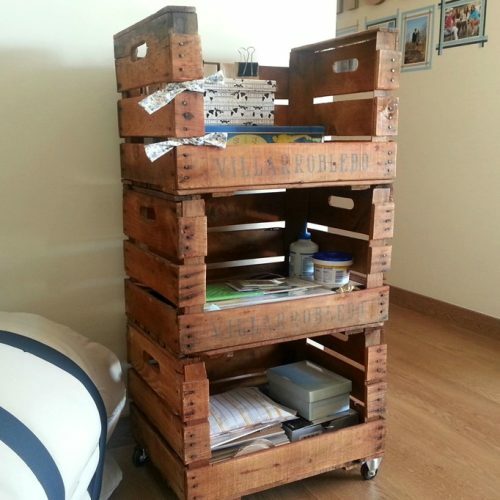 Useful both for books and magazines to employ trunk of toys or textiles. 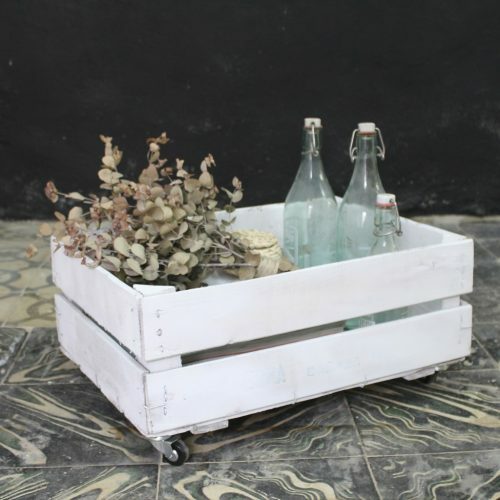 Acomfortable and original cart to give it that “eco” touch to your home or business. 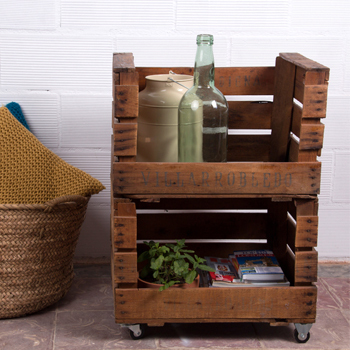 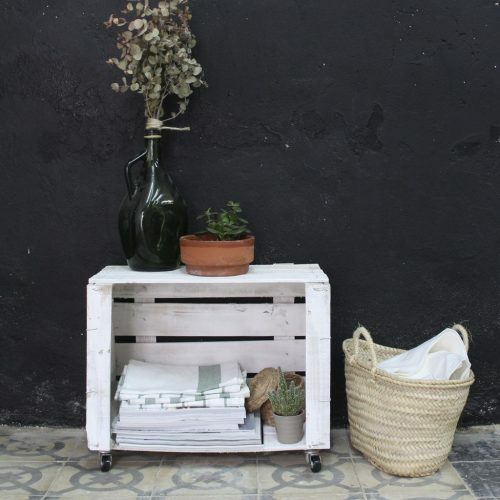 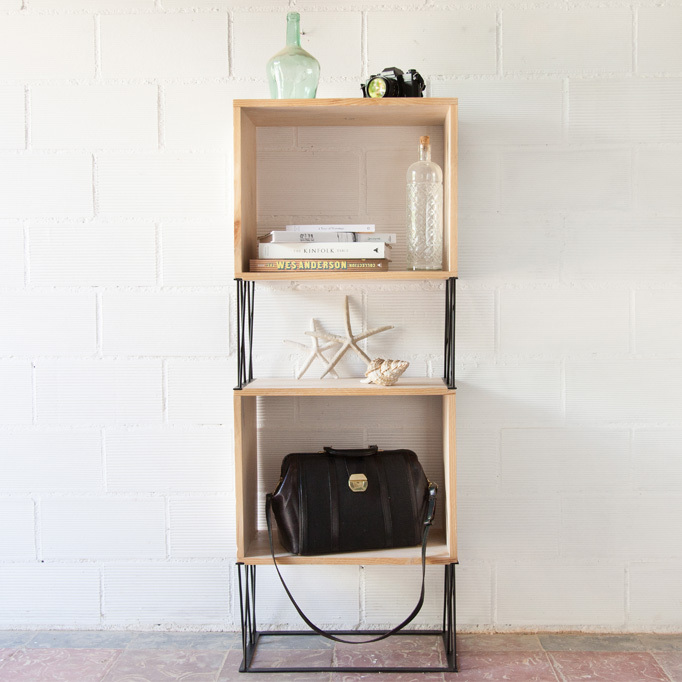 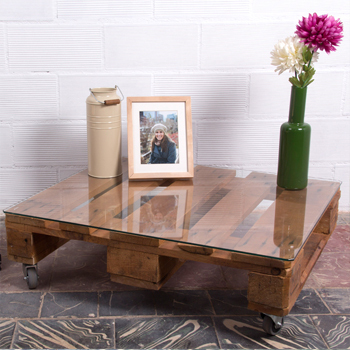 A comfortable and original cart to give it that “eco” touch to your home or business. 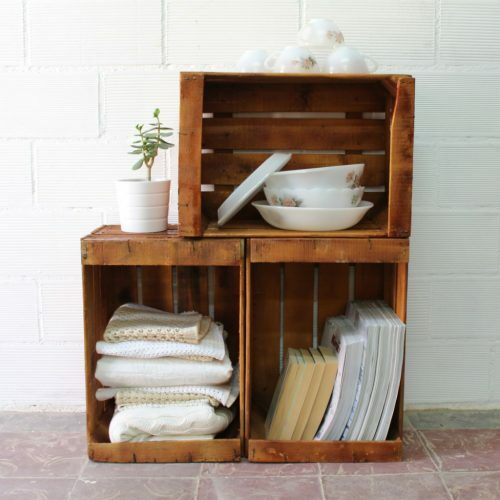 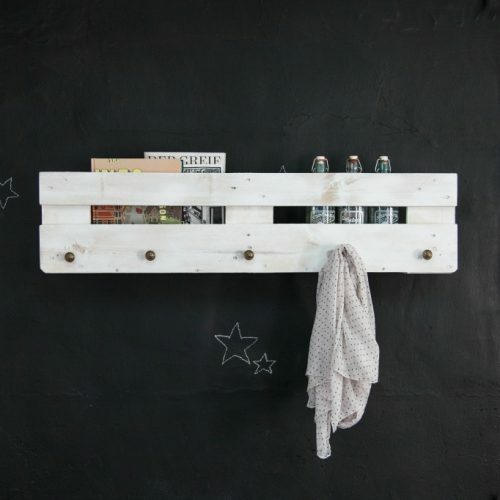 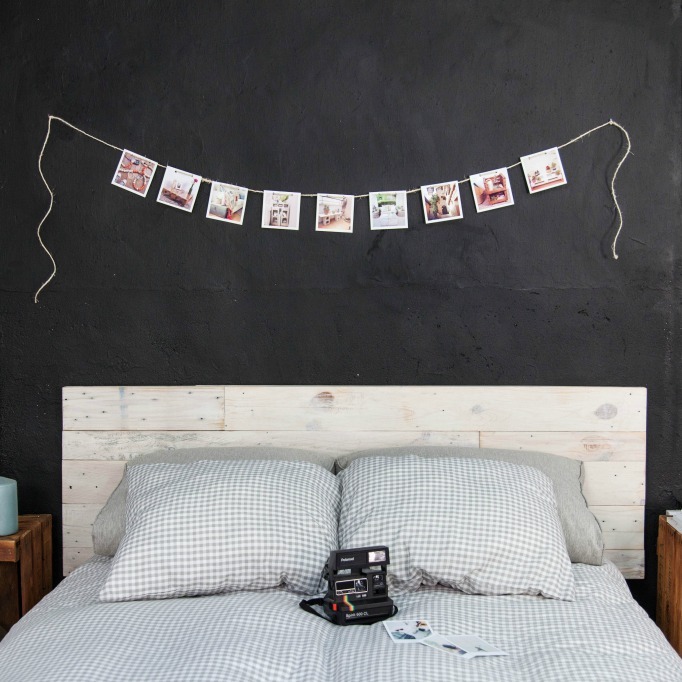 A set of shelves made using recycled fruit boxes stacked on top of each other in a horizontal position. 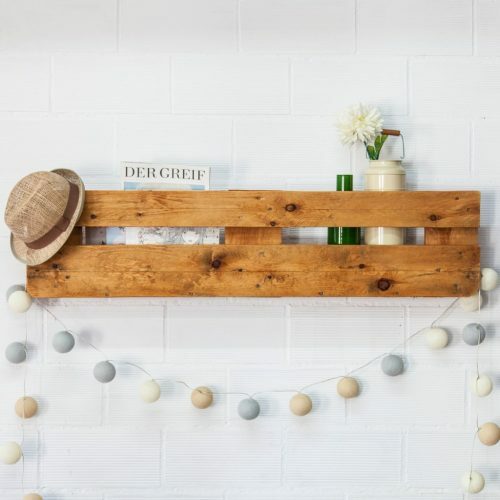 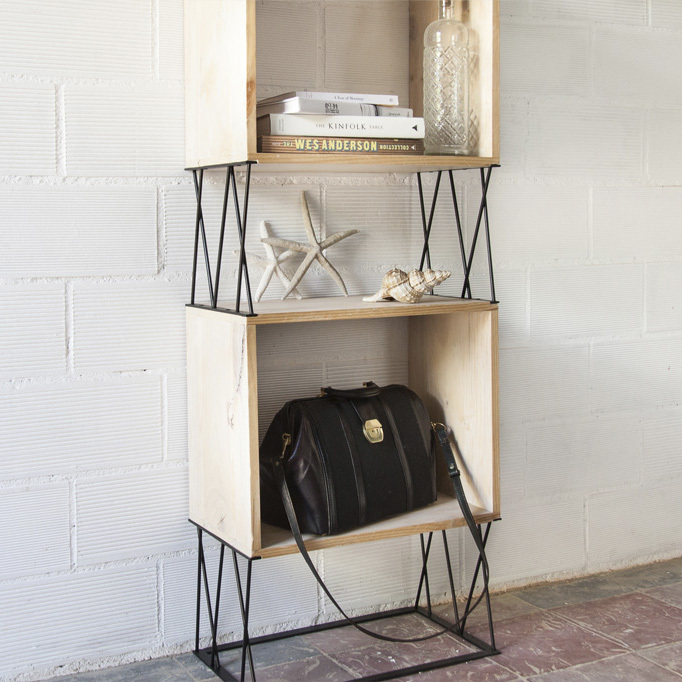 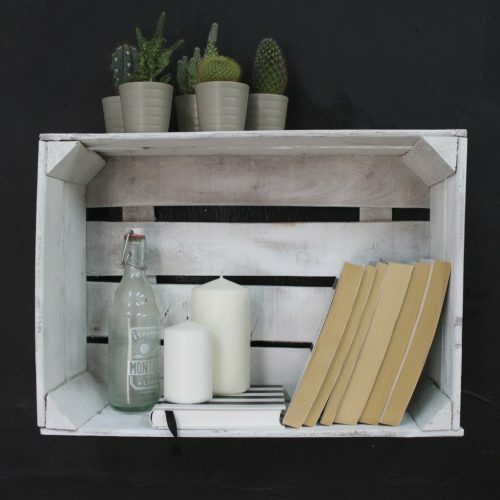 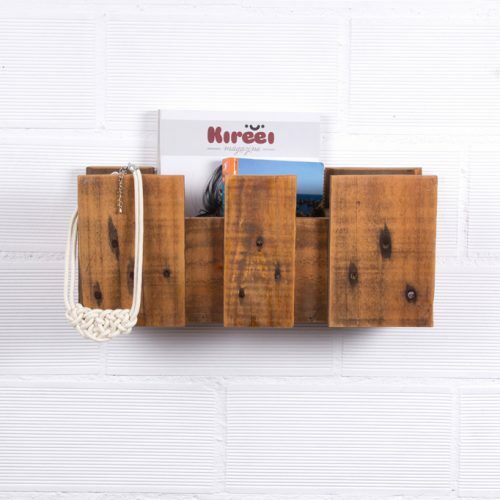 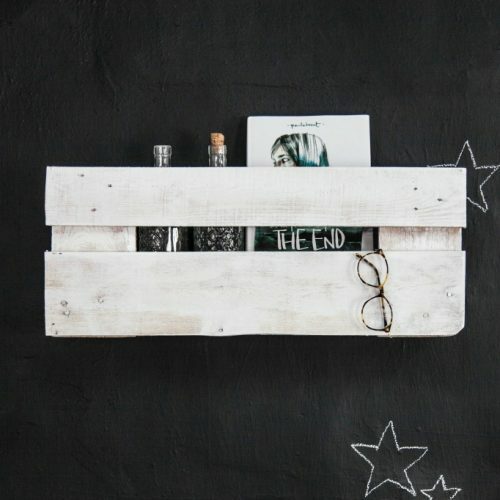 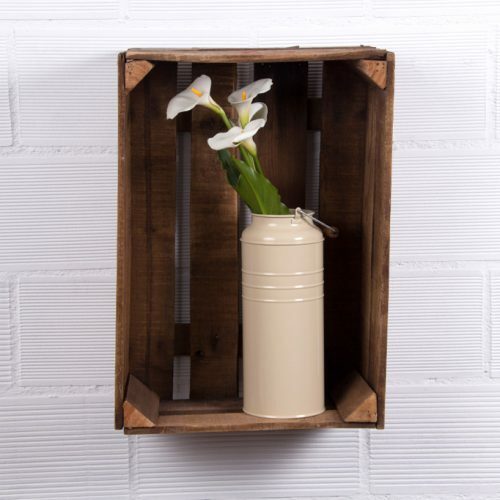 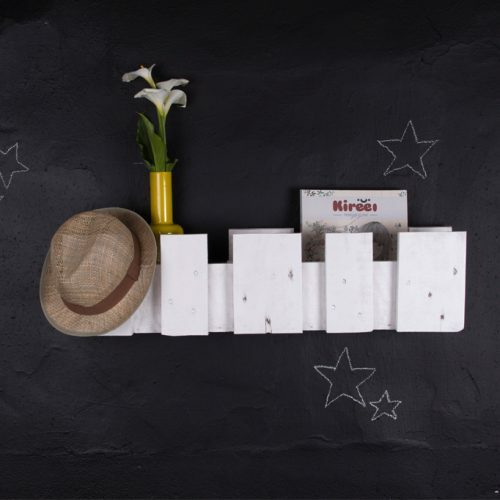 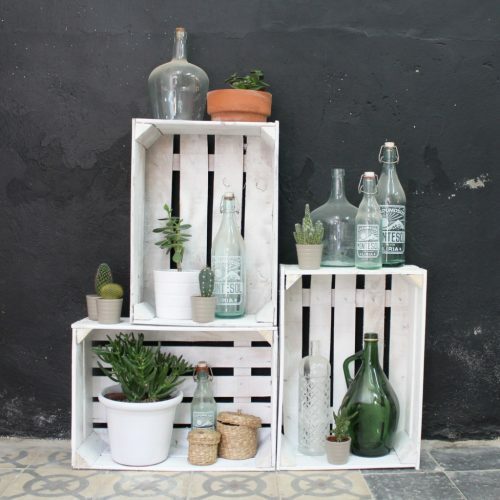 A set of shelves made using recycled fruit boxes stacked on top of each other with the opening at the top.An opening at the front of the box gives you access to the inside. 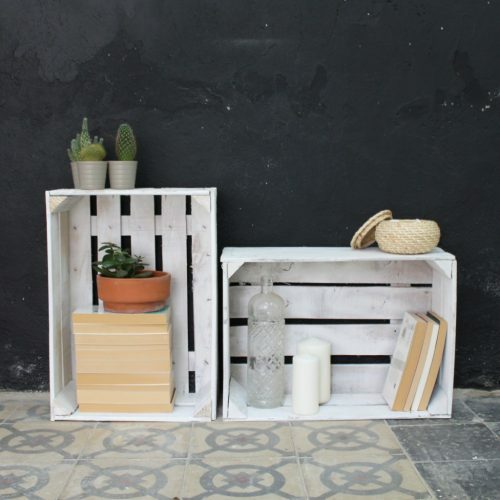 The fruit boxes are made using sturdy materials, and are objects that offer you a host of options to make incredible pieces of furniture with your own hands. 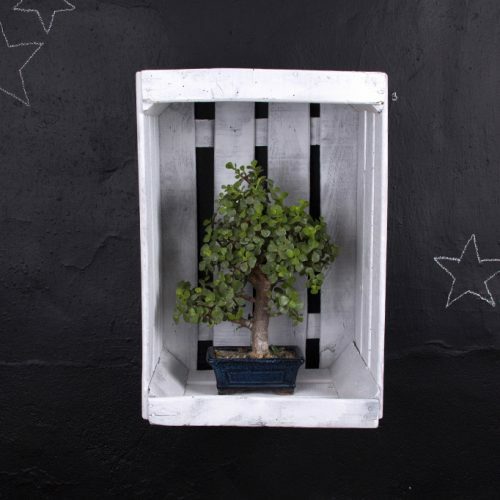 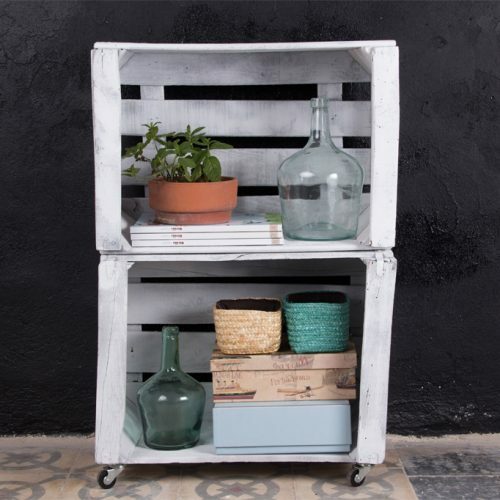 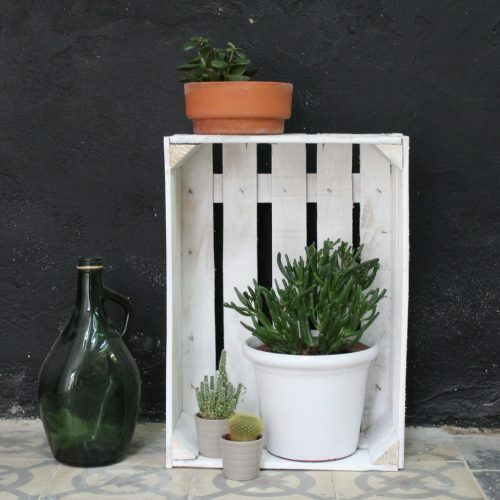 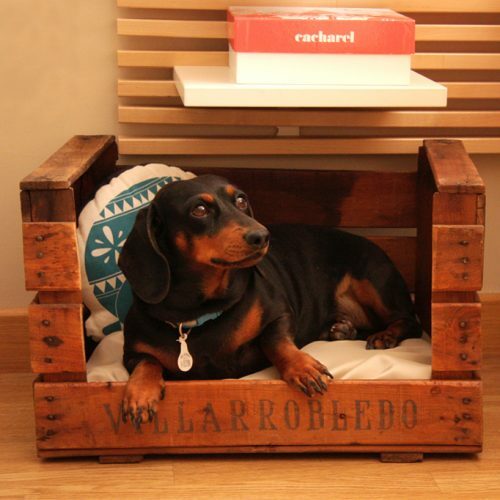 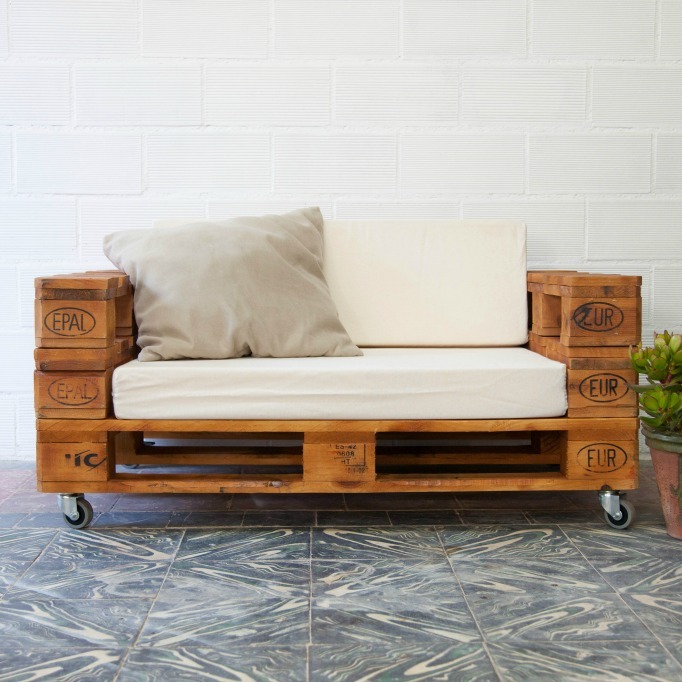 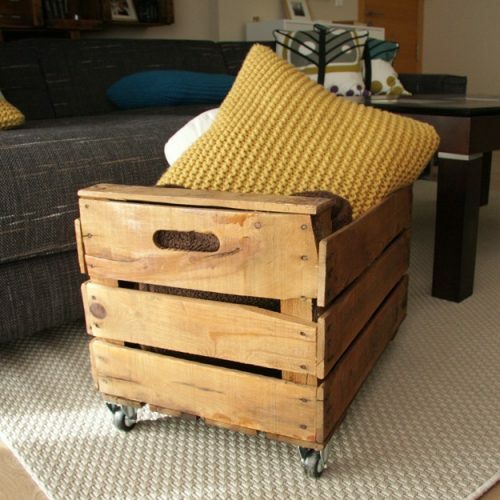 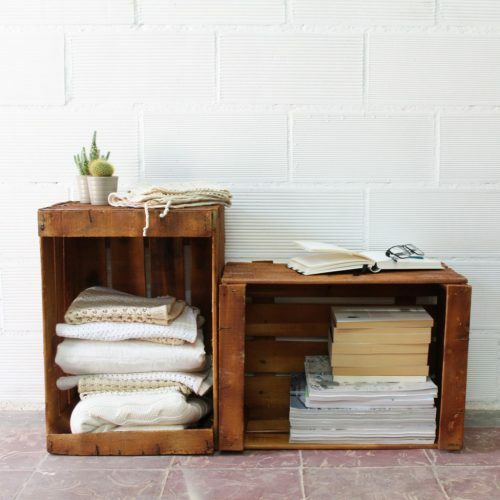 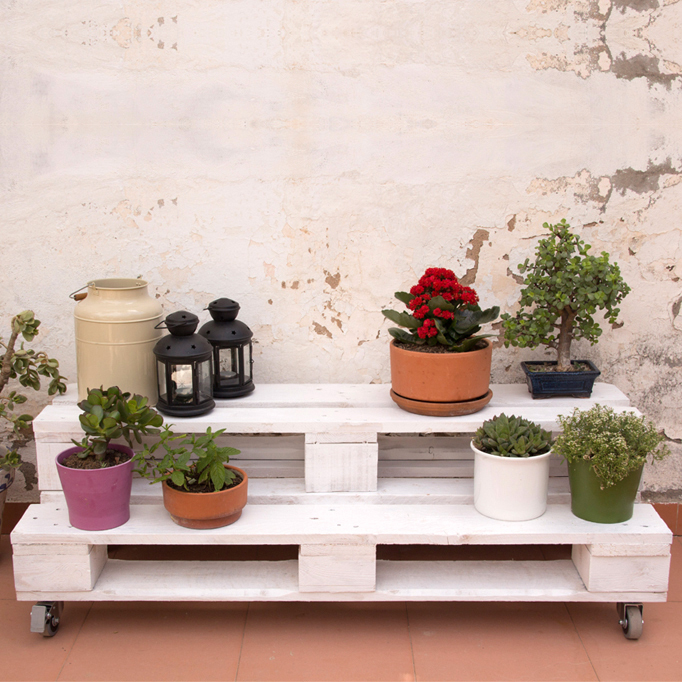 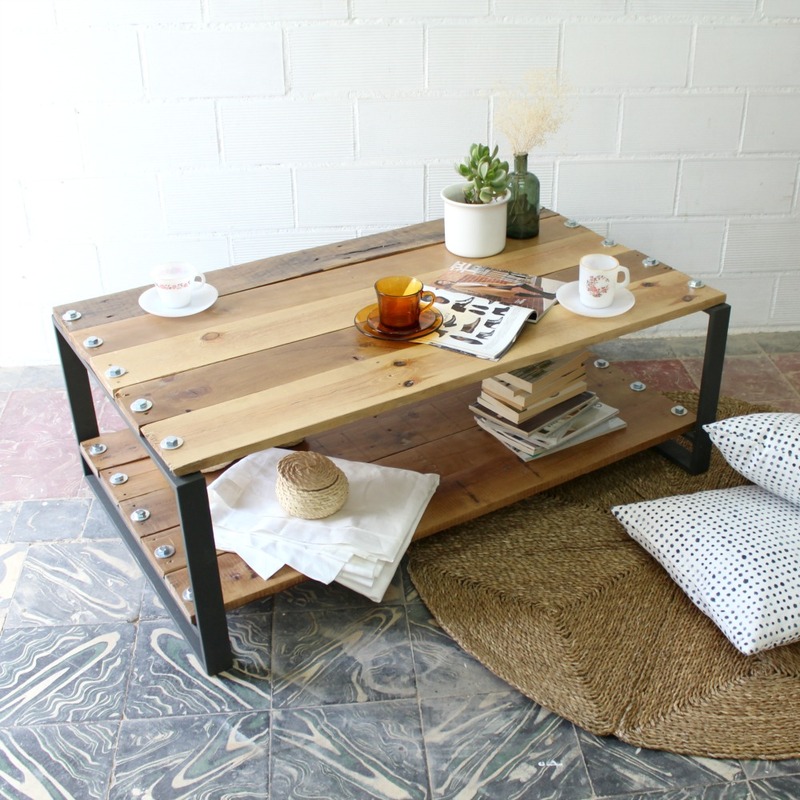 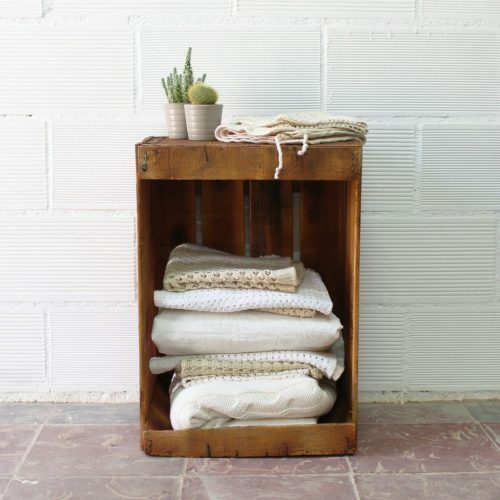 At ecoDeco Mobiliario we make things easier for you, because we have cleaned and treated the recycled fruit boxes so that they have a new appearance and are suitable to be used both indoors and as outdoor furniture. 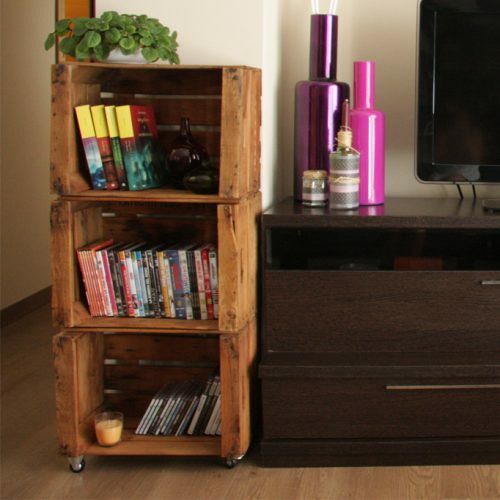 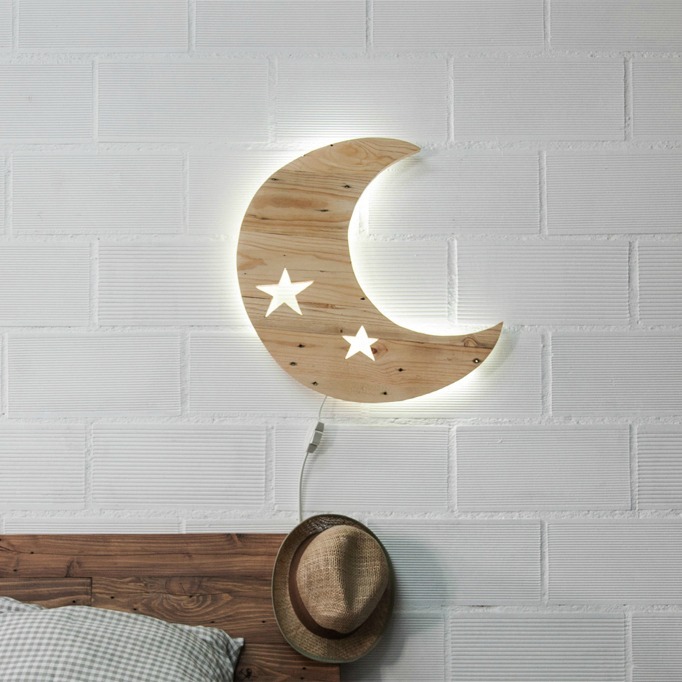 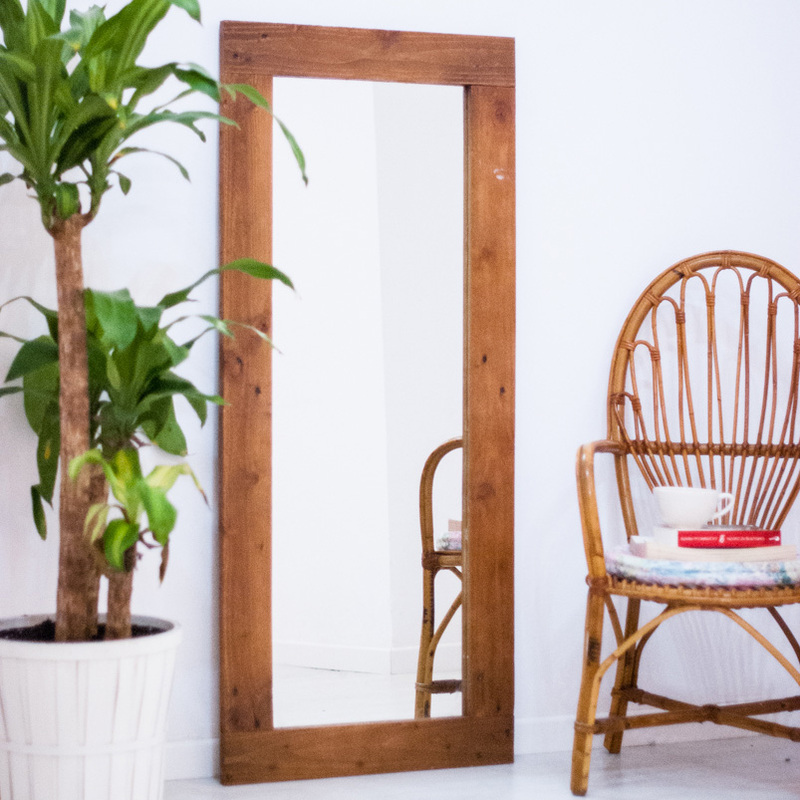 In aged white or oak varnished, you can decide whether you want 1, 2 or 3 units depending on the piece of furniture that you intend to create with them.